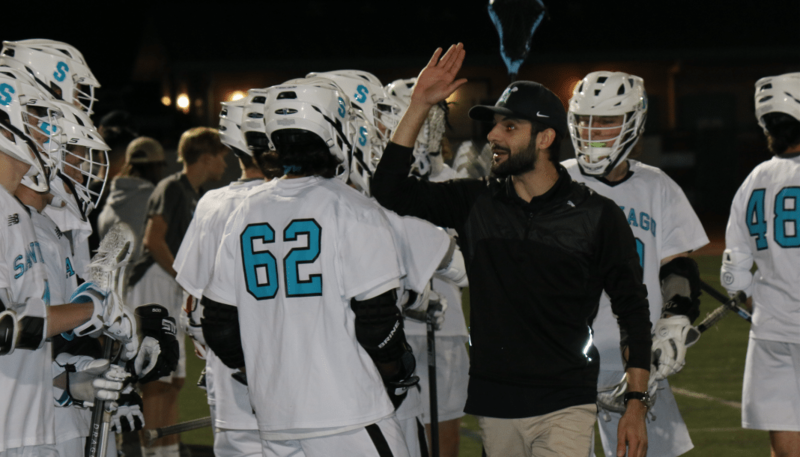 The Santiago Sharks (8-3) made a giant step forward in this week’s OC boys’ lacrosse coaches poll, jumping from No. 9 to No. 6. This is an all-time high for the Sharks, and they passed old stalwarts Santa Margarita, Tesoro and San Clemente to reach it. St. Margaret’s continues to strengthen its hold on No. 1, earning all but one of the 31 first-place votes that were cast. No. 3 Yorba Linda received the other first-place vote. That dispute will be settled on the field tonight when the Mustangs play host to the Tartans. No. 2 Trabuco Hills, No. 4 Foothill and No. 5 Corona del Mar round out the Top 5. Keeping in mind that each league champion gets an automatic bid to the playoffs, it’s important to note that Beckman is the highest ranked Pacific Coast League team at No. 18. This sets up the possibility that the PCL representative will bump one of the Top 16. Making things even more interesting is the fact that Aliso Niguel is currently at No. 15 and could get bumped if it doesn’t lock up the Sea View League title.